He was the scion of a dynasty that was reputed to descend from King Solomon, a pioneer of African unity and independence, a staunch confederate of the Allies in their fight against the fascist Axis powers and the messiah of the Jamaican Rastafarian movement. He was a reformer and an autocrat, whose rule was brought to a brutal and ignominious end when he was toppled and murdered by communist rebels. 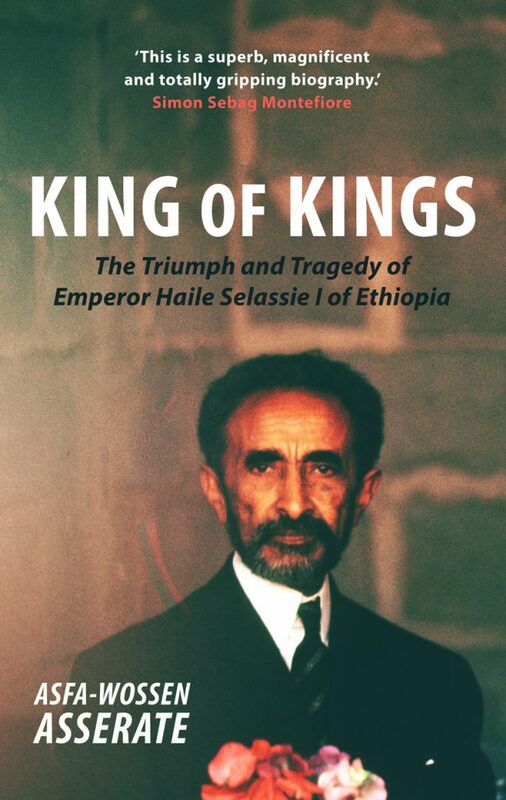 The impressive, dazzling and complex personality of Haile Selassie, King of Kings, is brilliantly conveyed in this biographical portrait by Asfa-Wossen Asserate, his great-nephew. The author spent his childhood and early youth in Ethiopia, though he never held political office in his native country, where his father was the last president of the Imperial Crown Council. The background of the author, who knew Haile Selassie in person, afforded him intimate insights into life at the Ethiopian court and the increasingly controversial policies pursued by the emperor. Asfa-Wossen Asserate’s own experiences, augmented by intensive research in both family and public archives, combine to produce a uniquely detailed portrayal of the last King of Kings of Ethiopia and the turbulent and tragic history of the country over which he reigned supreme for much of the 20th century. Asfa-Wossen Asserate was born in 1948 in Addis Ababa as a member of the Imperial House of Ethiopia. He read history and law at Cambridge and at the University of Tübingen, and received his PhD at the University of Frankfurt. He now lives in Frankfurt where he works as a consultant on African and Middle-Eastern Affairs, and as a political analyst. He is a bestselling author in Germany and has been awarded the Adelbert von Chamisso Prize and the Jacob Grimm Prize, two of the country’s most prestigious literary prizes.